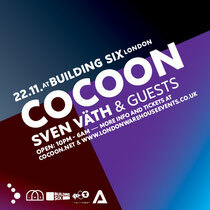 Few men in electronic music have built up a legacy as far-reaching and influential as Sven Väth has done with Cocoon. Sven uses the deep heritage of the brand to propel Cocoon into new areas with the same innovation, passion and hedonism he's always had. 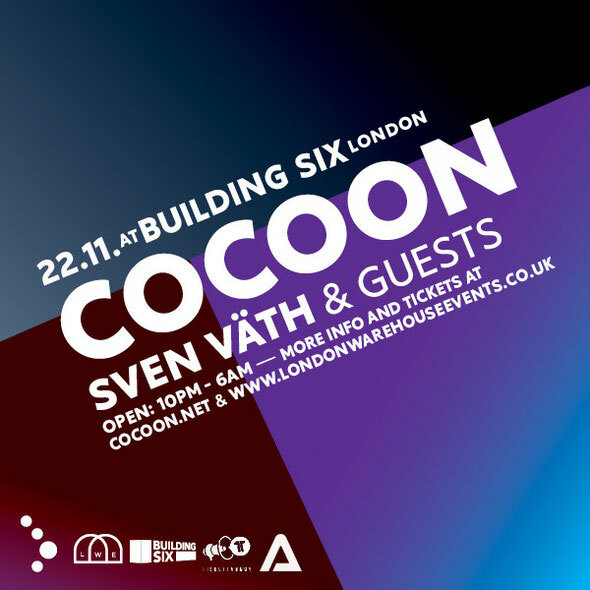 It's this forward thinking mindset that's kept Cocoon as a huge clubbing brand, and has kept their nights in Ibiza as popular as ever.This November sees Sven & co return to the body-kinetic dancefloor of Building Six, with a selection of headliners that could be considered a rarity in London. With the current Ibiza season in full flow, expect him to be returning to London with fresh inspirations and the best of Cocoon's current roster. Look out for production reminiscent of their summer parties too.